It’s been a month since I went to the Student Publication Association National Conference. For those of you who don’t know what that is, it’s essentially a weekend of the year when all the Student Publications from universities across the country pile into one place, and attend some cool workshops and awards. I attended with my glamorous assistant Jack (aka my Head of Marketing), so I’ll give you a little run down of what happened. As soon as we arrived in Wales, it rained. Literally, we stepped out of the station and it decided to tip it down. Typical. We clambered into an Uber (yes they do have those there), and got to the Student Union. The first talk was by Brenda Wong, who spoke about self branding. As a journalist and a blogger, it was interesting to see the different ways you can promote yourself online and make people more aware of who you are and what you can offer. I know from personal experience that employers jump on your social media, and it’s so important to keep it professional, but also to showcase your personality. We then went to a round-table discussion on how to work effectively with our Student Union. We are quite lucky that our Student Union is lovely and have been very supportive of us since our relaunch, but to hear that some outlets have content heavily moderated and have to go through a ton of stages to get to print was surprising. We also took on board some super advice on appealing for adverts (because like most media outlets nowadays, we are quite in need of them!). Following a talk on how to put together a news piece, it was lunch. Like the irresponsible adult that I am, I lost our food vouchers, but luckily we got some more. Stuffed with burgers and chips, we rolled onto the afternoon sessions. We watched a panel discuss #MeToo and how it has affected the journalism industry, which served as a reminder how shocking the pay gap is. Then, there was another round the table discussion, this time on utilising multimedia. This helped confirm we were on the right tracks, by using tools like Google Analytics and branching out our socials to Instagram, Snapchat, and Pinterest. I also got to explain to someone about legal liability for comments on your website, allowing my media law to be put into practice for the first time (thank you Mandy!). Now, the bit I know you’ve been scrolling down for… The awards! I was shortlisted for Best News Story for my piece on the racist chant video that went viral at Trent. 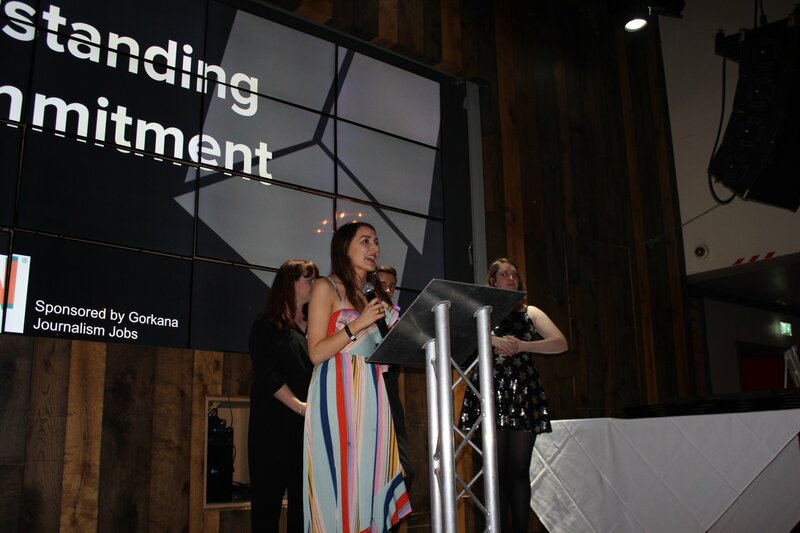 I was also shortlisted for Outstanding Commitment for my work as Editor-in-Chief bringing the Nottingham Trent Student Union magazine Platform back. I’m going to talk about that in a more in-depth blog post because I have a lot to say about it. But for now, the awards. We were sat next to two girls from a magazine called Blurred Lines and three lads from The Courier. I had such a great time chatting with them and having a laugh. We all made a pact that if any of us had to go on stage, we’d mention the severe lack of gravy on the main in the three-course meal. When it got to Outstanding Commitment, I was really nervous. I think being nervous shows that you care, and for those of you that have followed what I’ve been doing, you’ll know that I really care about Platform. When it got to the winner announcement each time, they started the speech by describing what the winner had done. When I heard “After being out of print for two years” for mine, I just started tearing up. It was one of those moments where it all just felt completely perfect. I hadn’t planned my speech at all as I didn’t want to get my hopes up, so when I got up there I just talked – although after almost a bottle of wine you can imagine how that went. One girl afterwards said that I was very articulate, but I watched it back in the morning and I think she was just being kind. Oh, and I totally did the gravy shout out. Afterwards, I was so overwhelmed by all the people that spoke to me and congratulated me. I genuinely didn’t know what to say, so if you’re reading this and you’re one of those… I’m really sorry for being in shock, but I’m very thankful for your lovely words! Being in a room full of people dancing, celebrating and congratulating each other was an amazing feeling. I can’t remember the last time I smiled for that long. The next day, we had hangover-curing breakfast and juice, before going to the final sessions. 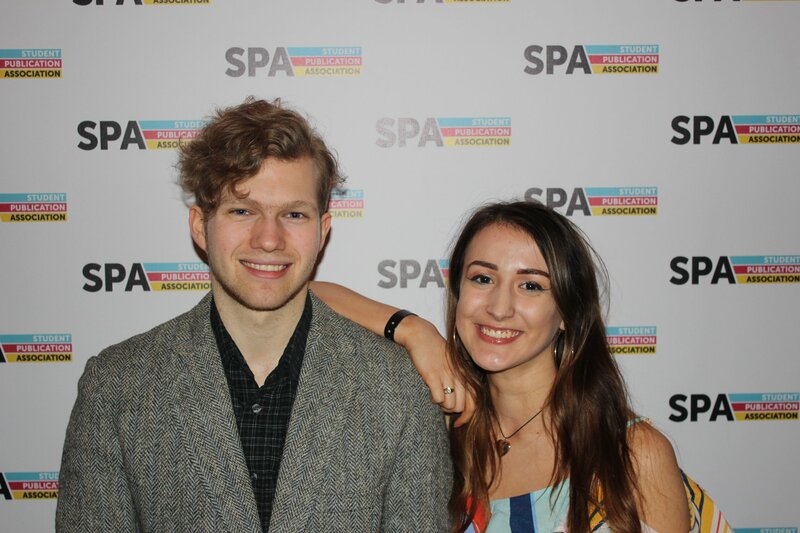 Hearing how SPA members used student media to get a variety of jobs was useful, as they all went on different paths and not just the ‘relocate to London’ route. There was also a panel on freelancing – I do write a lot of the time for free, so it did make me think differently about my worth as a journalist, and how if everyone wrote for free there would be no work to be had. It was so brilliant that weekend, to speak with so many intelligent, bright journalists from all around the country. 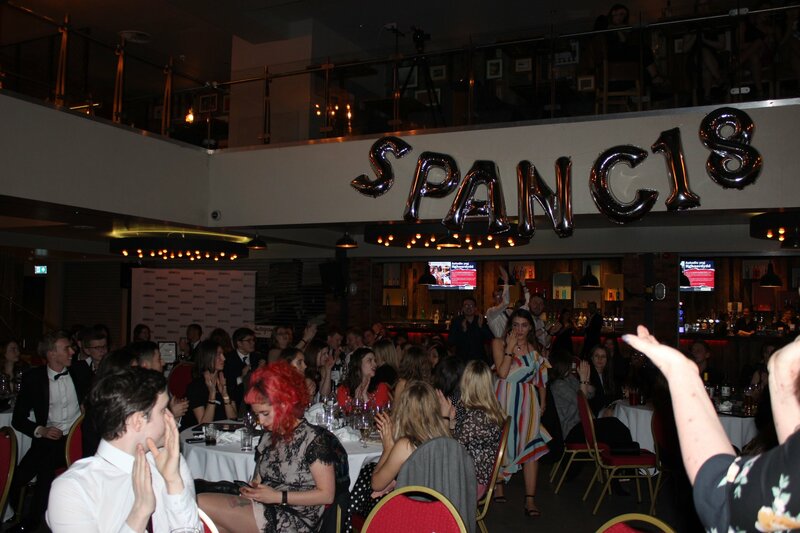 It was my first time going to SPANC, and I didn’t know what to expect. I was pleasantly surprised by what a superb learning experience it was – I’ll see you all again next year!